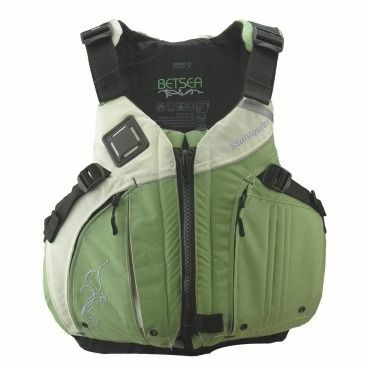 Finally, a TRUE women-specific PFD! Yes, TrailblazerGirls, the Stohlquist BetSEA is designed so our lady-parts don’t get squished. Hurray! With built-in contoured supportive inner cups in just the right places, you’ll be super comfortable, and their cross-cinch harness also ensure a comfortable fit by preventing the device from riding up. Other well-thought-out features include lined hand warmer pockets, extra wide armholes for maximum mobility, key attachment point inside front pocket, and reflective trim on both front and back. A life jacket made for us TrailblazerGirls!